The spiritual director at Ireland’s leading pilgrimage island is supporting more and more people who struggle with isolation and suicide. “Every year I encounter more people who live with the struggles of suicide and who search for answers to their questions. Many people come to the island seeking help and searching for meaning for what is happening in their lives. But equally so, we are aware that many people live in silence and isolation,” said Fr Cathal Deery, Retreat Spiritual Director, Lough Derg. He spoke out as he issued an invitation to the Lough Derg Living with Suicide Retreat Day. He explained that the retreat is for anyone who has been affected in any way by suicide, including those who minister and support in this area. They can come and listen, and be as they are, to a “safe place, a place where no one is judged and where all are equal”. This is something of a new departure for the island, which has often been referred to as Saint Patrick’s Purgatory and associated with penance. Fr Deery, who is well aware of the stigma attached to suicide and how important it is to talk about it, was involved in organising the first retreat of its kind five years ago. Back then he explained that the day in Lough Derg differs from other events about suicide, as Lough Derg is renowned as a place where people go to be in touch with God. “[The day] is offering people something around faith and God’s mercy, compassion and healing, and hope that maybe isn’t offered in a more secular sphere,” he told Catholicireland.net at that time. Fr Deery has emphasised that there is no expectation on anyone who attends the retreat day to say or share anything and that there will be no other activities on the island during the day. Fr Deery is a priest of the Clogher Diocese and the diocesan resource person for suicide. He is involved in a number of suicide awareness groups and initiatives both sides of the border. On the day, he will be joined by Mark H Durkan, who was elected to the Northern Ireland Assembly in 2011 for the Foyle Constituency as a Member of the Social Democratic Labour Party (SDLP). Mark Durkan is to speak about his experiences following the loss of his sister to suicide over five years ago. Another speaker is Joan Freeman, who facilitated the setting up of Pieta House during a time of great personal grief following the death of her sister by suicide. Around that time, Joan Freeman was given a book by a Catholic nun which included a picture of the Pieta. She felt there was great symbolism in Michelangelo’s famous sculpture, with Mary’s broad shoulders and lap to hold the broken body of her son with a look of “majestic acceptance” on her face, and the name Pieta House came from her reflections on that. 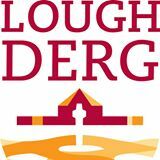 The Lough Derg Island is part of the Clogher Diocese, and about four miles north of the village of Pettigo in Co. Donegal. Since the 7th century, this island has been a place of pilgrimage. The Living with Suicide Day Retreat is on Saturday 30 September 2017.